Contacting any member of staff in person, by phone or by email (email addresses of all staff can be found on the 'Meet the Teaching Staff' page of this website in the 'Our School' tab. Completing the online Parent Survey below or using the feedback form. My son loves it at Towers and has thrived. Hopefully my daughter will have a similar experience when she starts in Sept! So pleased our son is at The Towers. He LOVES the RSC, the mini lectures are great, he speaks with enthusiasm about his teachers and the majority of his lessons. Thank you all for your hard work and dedication.... and belief in all of your pupils! Both my children have blossomed at your school. Not only educationally but also as young adults within the community. Any contact has been dealt with in a timely and professional manner. It is a fabulous school I am proud to recommend to all. My children have flourished at Towers school - my once completely anxious child would not attend school- since moving to your school she now loves school and has made an amazing progress both academically and emotionally. 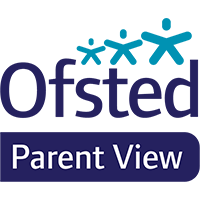 We feel that our children are very well looked after, the school is very well managed and the staff are amazing, we couldn't recommend the school enough. Towers, in my opinion, is one of the best schools in the area. The students are well behaved, the curriculum is excellent, the faculty are dedicated and friendly. I think the head teacher is doing a marvellous job at keeping the children safe and educated as are all the staff I've met and spoke to. Well done to you all. I'm proud that my son is at Towers.